When people ask questions like, “How often should I blog?” or “Should I blog for my business?” they’re typically expecting a concrete answer. Truly, the amount of blogging you do for your business is based on two critical areas. The first is time constraint – as in, how much you’re able to produce for your company site and on what schedule. The second is a question of metrics. If you aren’t able to examine your website and social media data to determine what people want to see from you, this is the first problem you must fix in order to get your site rankings up. Don’t worry about how much you blog if you don’t have the tools to analyze your traffic. If you’re asking yourself “how often should I blog” without any real indicators of what your audience wants to see, you could be wasting your time. You’ll also want to know what keywords people are typing in to find your website so you can evaluable specific opportunities to move up in the Google rankings for those keywords. For instance, if you run a data analysis business, your website could be popping up for keywords like “risk data analysis” or “web company data analysis.” If you’re ignoring how people get to your site, you could be glossing over information that will tell you more about your core audience. In this case, not only would be losing a valuable opportunity to determine what your content should be about, you’re also losing the opportunity to market on keywords that reach niche demographics. For this reason, the first step is figuring out whether or not your audience is niched in a way you might not realize – and analyzing your data is the only way to do that. The next factor is time. 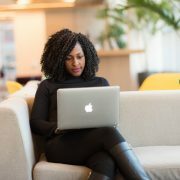 You have to be realistic here – if you only have two hours of free time a week and you’d rather spend that time drinking coffee and looking out your office window than blogging, you should ask yourself if you’re realistically going to want to devote that time to blogging. 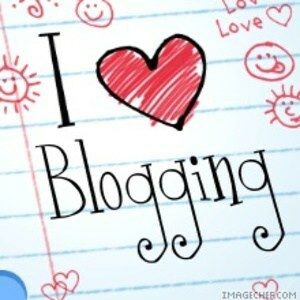 Is blogging important for your business? Absolutely. It gives you something to share on social media, it gives your audience content to relate to, helping you establish trust. It also gives your site an SEO boost if you’re using your keywords properly. We all have good intentions when it comes to blogging, but if you’re just not going to get 1-2 blogs a week finished – or even a month –it might be time to bring in some reinforcements. Once your site analysis starts to produce some additional data, take a look at what pages or current blog posts your audience is spending the most time on or sharing the most. You can find all this info in your Lead Liaison metrics dashboard. If you don’t have any content to track yet, create some random content based on your business offerings and track your site visits, social shares and whatever data feedback you can get. If you already know what direction you’d like to go in and can’t fathom creating at least a weekly blog for your business, it might be time to look into some assistance options. Lead Liaison developed a sophisticated, streamlined approach to content assistance you won’t find elsewhere. Take a look at our content creation services and stop asking, “How often should I blog?” … we’ll take care of it all for you! https://www.leadliaison.com/wp-content/uploads/2013/04/Lead-Liaison-Logo5.png 0 0 Lead Liaison https://www.leadliaison.com/wp-content/uploads/2013/04/Lead-Liaison-Logo5.png Lead Liaison2013-11-11 06:00:552014-09-12 17:24:48How Often Should I Blog for My Business?